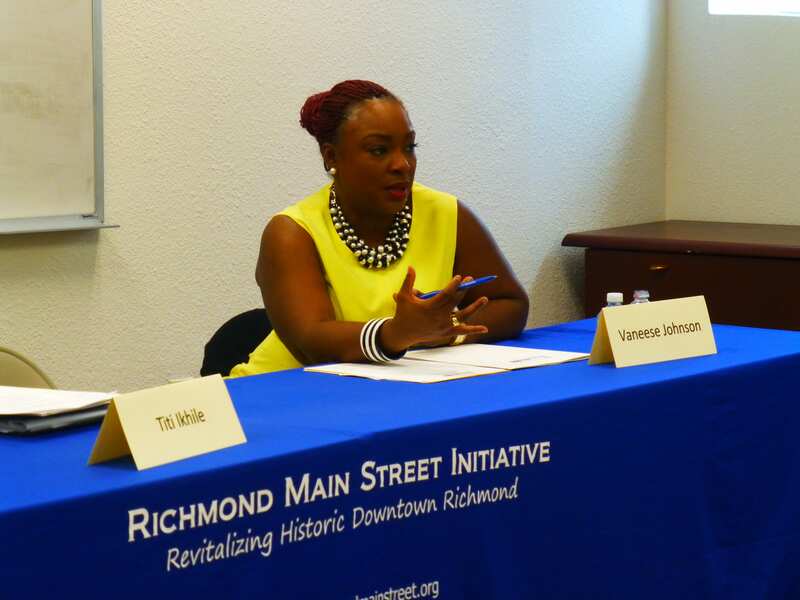 Richmond Main Street Initiative is dedicated to strengthening Downtown Richmond’s economic base through business retention, targeted recruitment, social entrepreneurship and financing, trend monitoring and education, and new equitable development. We actively partner with the local business community, anchor institutions, and service providers to provide a wide range of technical assistance services to small businesses and emerging entrepreneurs. Whether you’re the owner of an established enterprise who wants to revamp your business practices or you’re an entrepreneur ready to take the next step, Richmond Main Street is here to help. About: Branding is much more than your company’s logo or the products/services it provides–a strong brand sets your business apart from others and is essential to success. 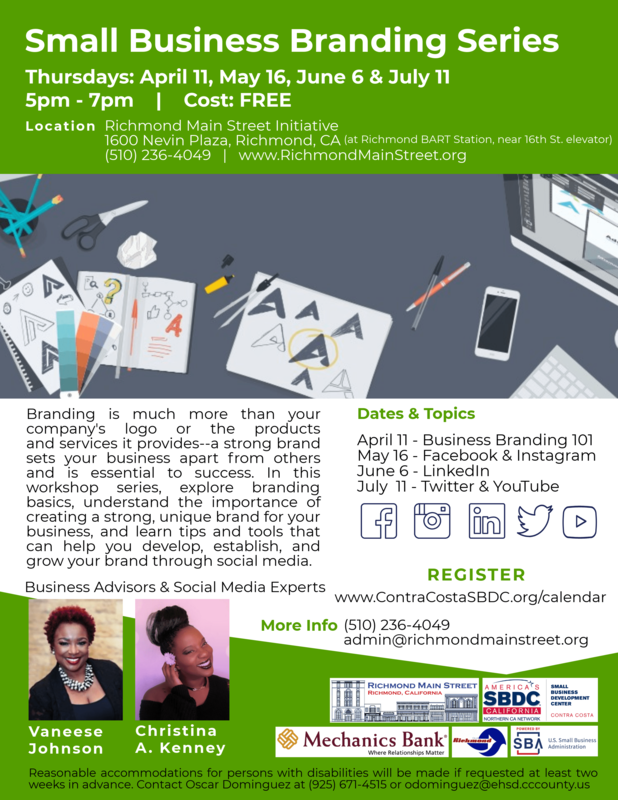 In this workshop series, explore branding basics, understand the importance of creating a strong, unique brand for your business, and learn tips and tools that can help you develop, establish, and grow your brand through social media. 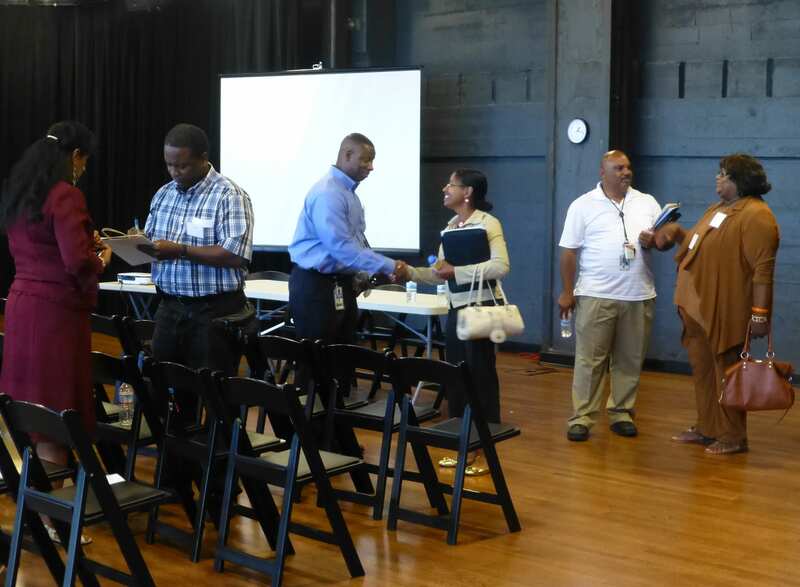 Hosted by: Richmond Main Street Initiative in partnership with Contra Costa Small Business Development Center. Generous support from Mechanics Bank and City of Richmond. About:From local banks to community lenders, there are many options available to fund your new or existing business. 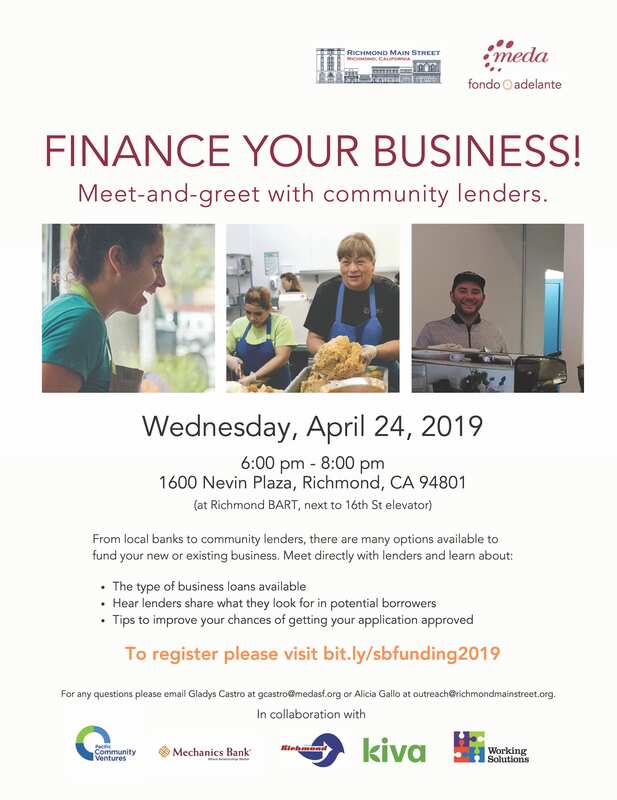 Join us for an informative workshop to learn more about the type of business loans available, hear lenders share what they look for in potential borrowers, and get tips to improve your chances of getting your application approved. Plus: Meet and network with lenders directly. About: Take your business to the next level with free expert advising! 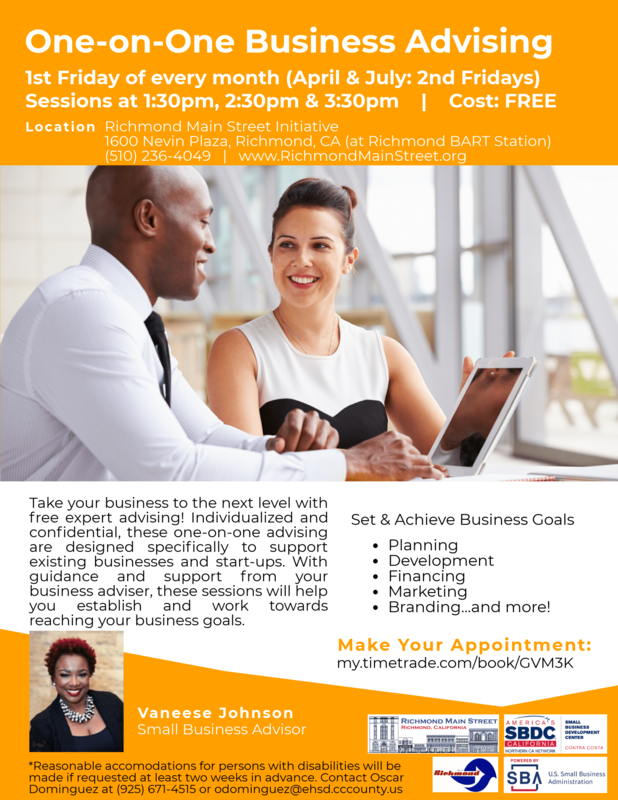 Individualized and confidential, these one-on-one advising are designed specifically to support existing businesses and start-ups. With guidance and support from your business adviser, these sessions will help you establish and work towards reaching your business goals: planning, development, financing, marketing, branding, and more! 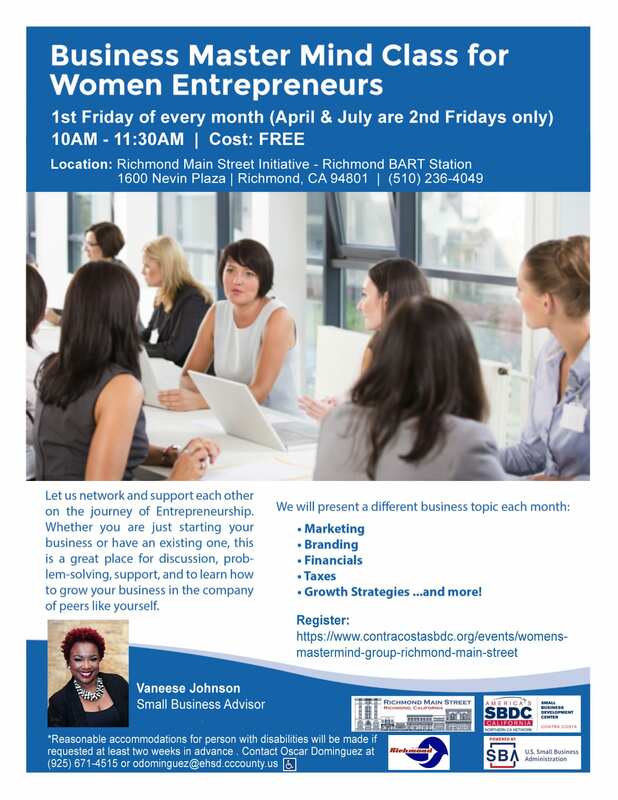 Richmond Business Bites is a free workshop series offered throughout the year featuring panelists of small business owners, advisors, City of Richmond representatives, and others offering their expertise on a range of entrepreneurship topics. Our Get Certified! 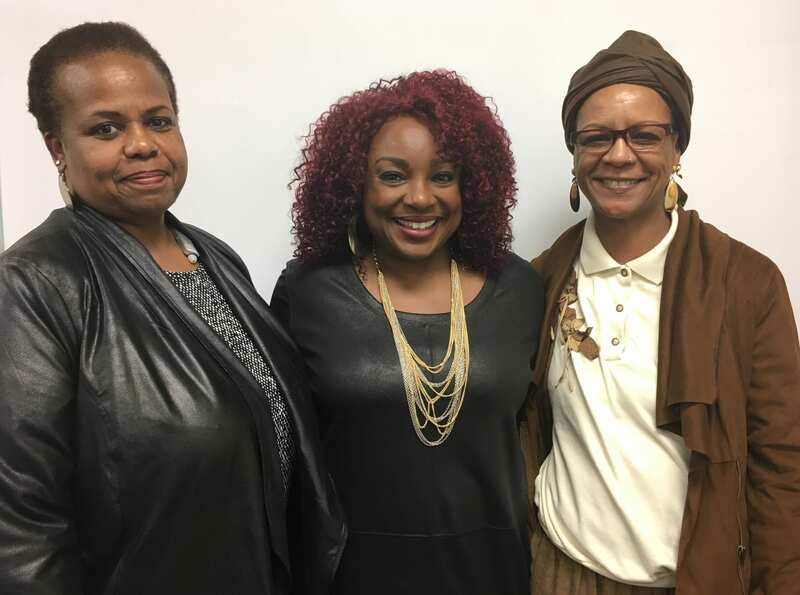 For Contracts with Anchor Institutions series is a hands-on course designed to get local, small, and minority-owned businesses certified and ready for doing business with anchor institutions. 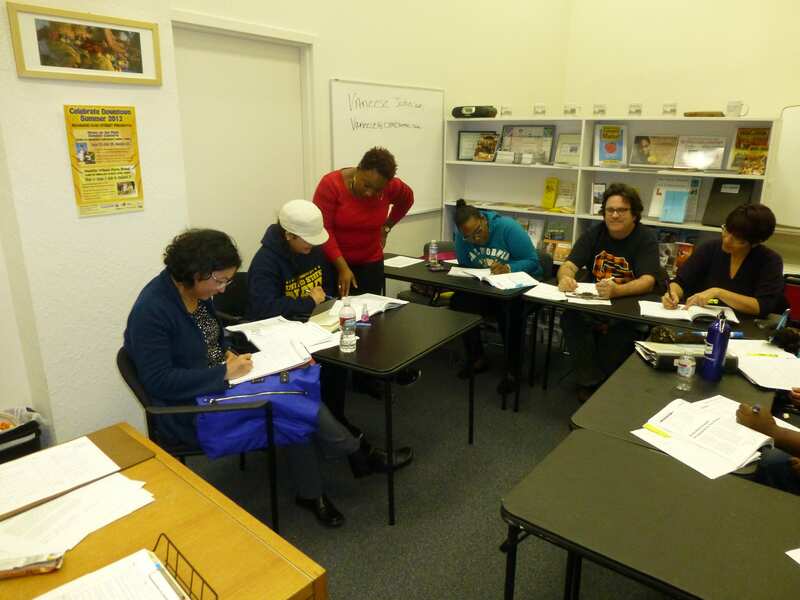 In 2018 we hosted two Get Certified! For Contracts with Anchor Institutions workshop. We hope to offer these session again in 2019. 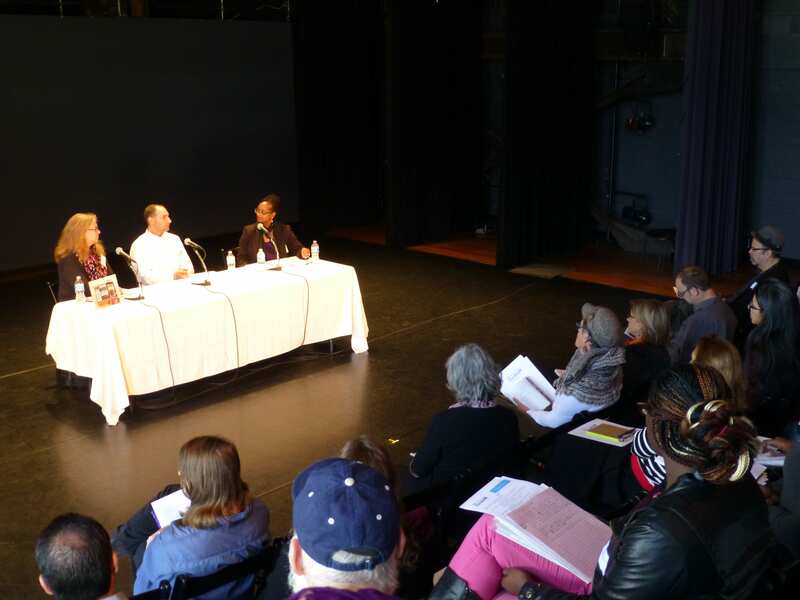 Check out the “Small Business Certifications & Procurement Resources” section on our Business Resources page for copies of the handouts, materials, and slide decks from this workshop, plus links to websites and portals to certify your business. 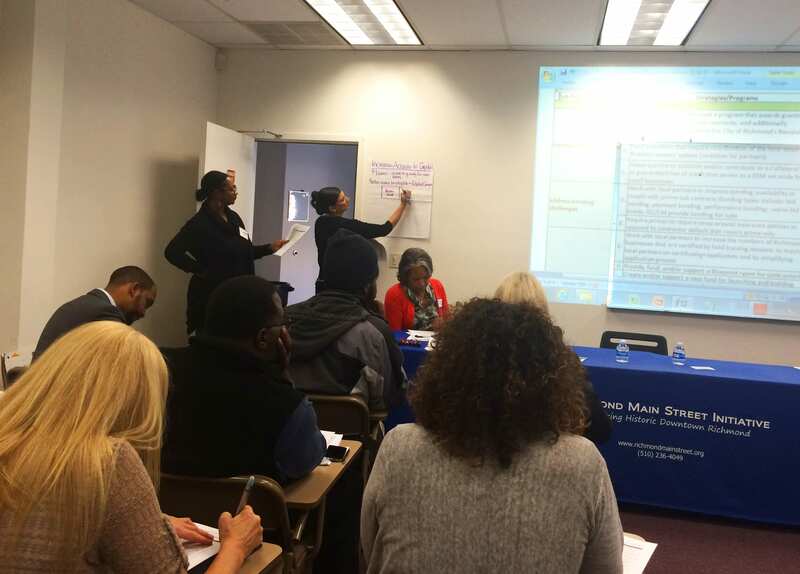 Join our Small Business Mailer to get updates on this workshop and other resources offered by our partners. Want to start a business? Own a business but need some help? Currently, Richmond Main Street is not able to offer ongoing, direct business services. 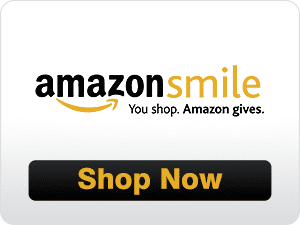 However, we have very strong relationships and partnerships with a variety of service providers in the area. Whether you need help developing or revising your business plan, acquiring financing, finding a storefront space, or accessing other business resources, we are here to help! Tell us a little bit about your business needs and we will happily connect you with the resources you need.